AT THE CYPRUS MUSEUM WITH MY FAMILY! EDUCATIONAL PROGRAM "AT THE CYPRUS MUSEUM WITH MY FAMILY!" In the summer of 2016 the Department of Antiquities launched its permanent educational program for families at the Cyprus Museum, titled “At the Cyprus Museum with my family”. Children and adults can find specially designed and hand-crafted exploration kits at the Cyprus Museum reception, free of charge, both in English and Greek. 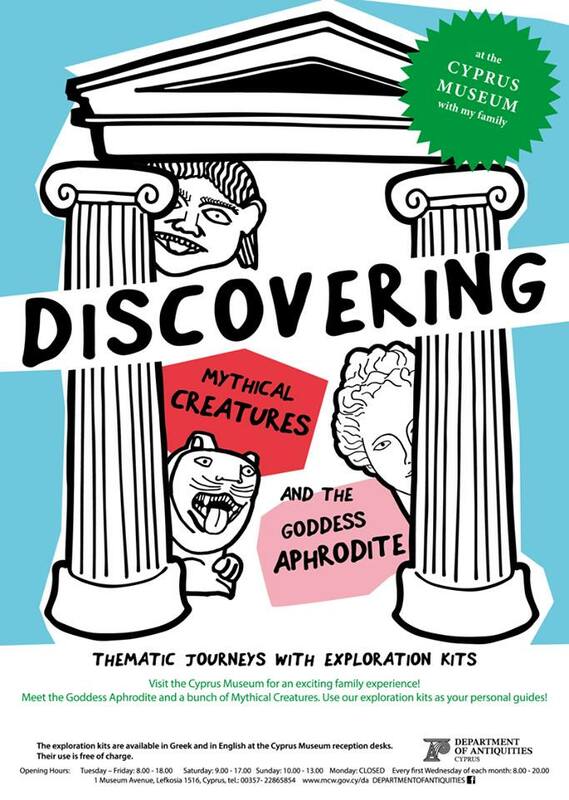 With the exploration kits families can embark on two different journeys: “Discovering the Goddess Aphrodite” and “Discovering Mythical Creatures”. The programmes have been prepared in order to help children and their families interpret specific exhibits through thematic journeys within the Cyprus Museum. They aim to promote the communication between child and parent, to encourage observation and combine learning with having fun. No prior archaeological or historical knowledge is required. All that is needed is excitement for discoveries! Visit the Cyprus Museum for an enjoyable and enlightening museum experience!